Conch is seafood, and is basically a large sea snail. Conch soup is one of my favourite Chinese soups, because boiling fresh conch until it is soft, but still chewy, is my favourite way to cook it. Conch can also be stir fried, braised, steamed, baked, or BBQ’d whole in its shell. But note that the part of the conch that is found on the inside of the shell is the most tender, so use this part for quick cooking. The ‘head’ of the conch is better used for soup, as it is quite a bit tougher. Be sure to use fresh, live conch. When you’re in the grocery store, poke the muscle (or ‘head’) of the conch (not the shell). If it retracts into its shell, then it is alive. The faster it moves, the better. Ask the staff to remove the shell for you. 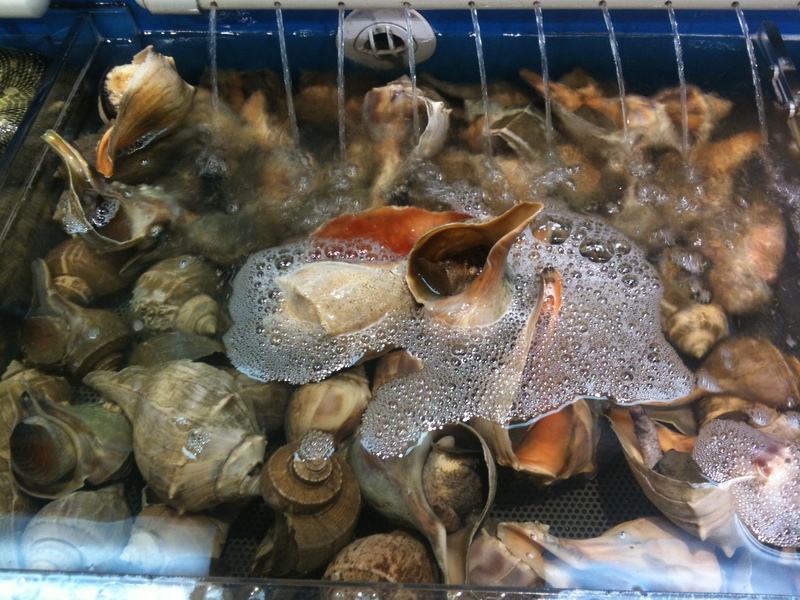 The type of conch that we use for this soup is shown in the photo below. Soak the dried yam sticks in water until ready to use. 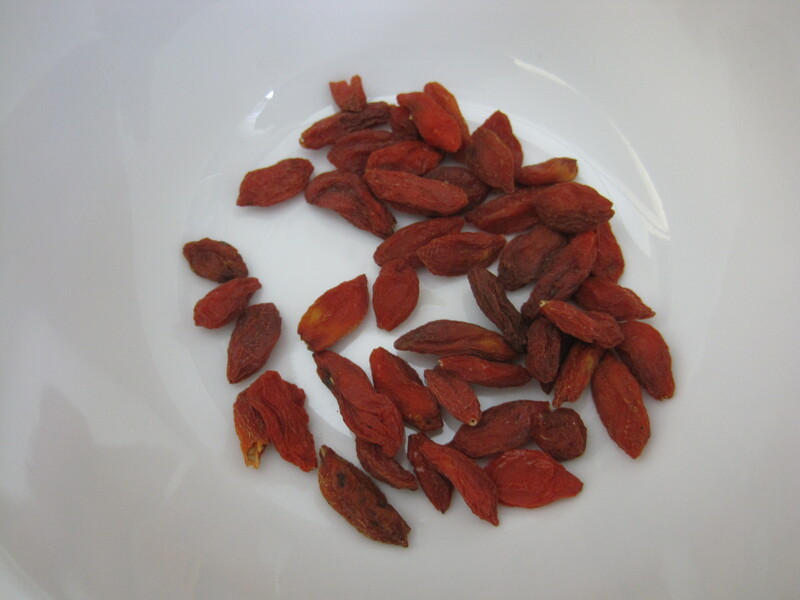 Rinse the dried goji berries under cool running water and then set aside until ready to use. 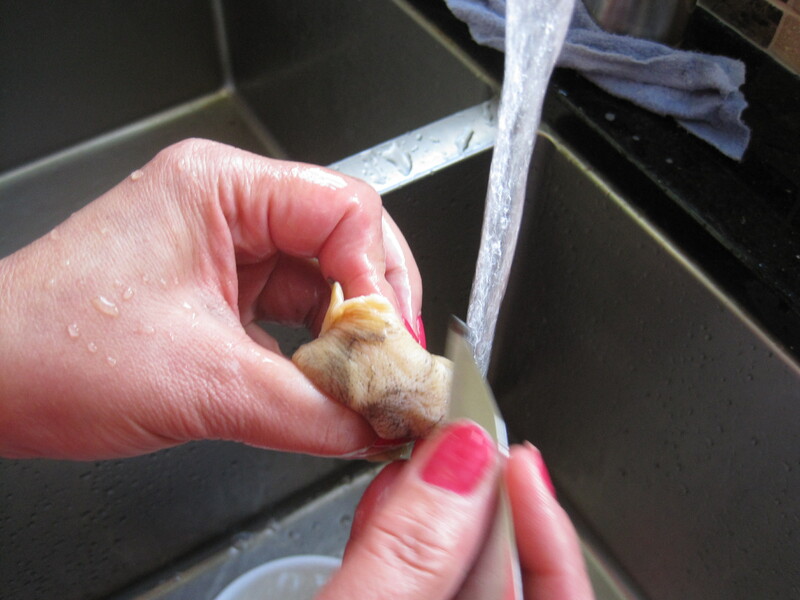 Wash the conch under cool running water and use a small knife to scrape off any dirt. Then cut the conch into bite sized pieces and place them into a heat safe colander. Pour several cups of boiling water over the conch to give it another good rinse. Then place the whole chicken, pork shank, conch, and dried yam sticks into a large stock pot. Add enough water to cover all of the ingredients. Bring the pot to a rolling boil, covered, over high heat. Then reduce the heat to maintain a strong simmer, while covered, for 2 1/2 hours. Add salt to taste, but do not allow the salt to overpower the mild flavour of the meat and conch. The conch pieces should be soft, but still chewy. 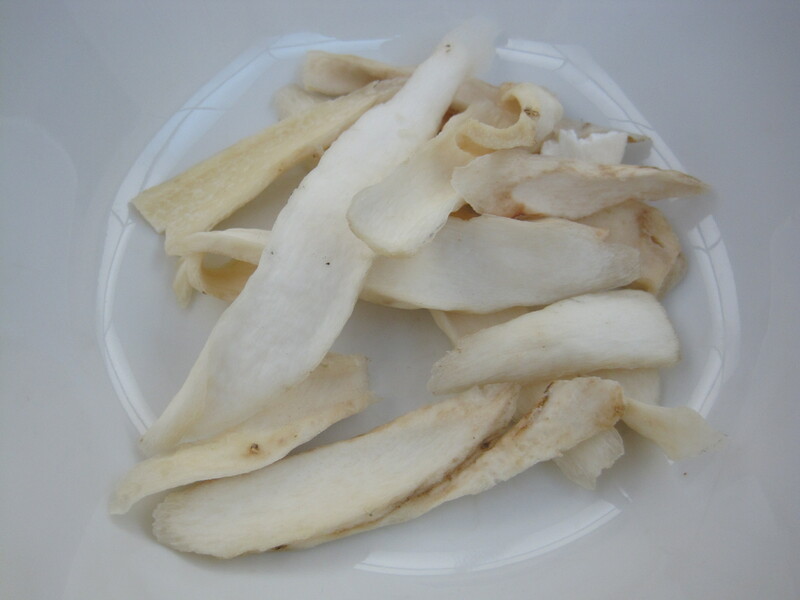 The dried yam sticks should be soft and should break apart easily, but should not appear to be disintegrated. Turn the heat off and skim off any fat from the surface of the soup. Then add the goji berries. Allow the goji berries to soak in the soup for 10 minutes. Then serve the soup immediately, while piping hot. The soup will taste even better the next day. Leftovers should be stored in the refrigerator. 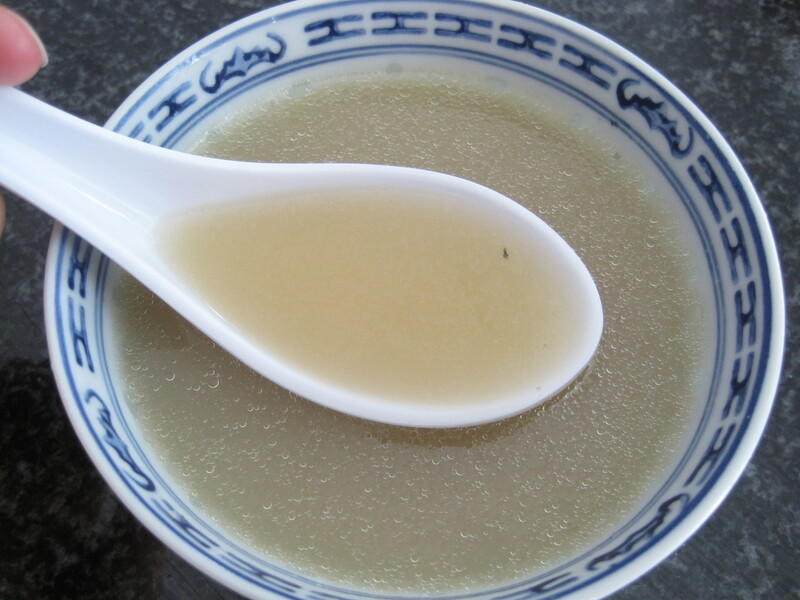 Once the soup has been chilled through, remove any solidified fat that appears on the surface of the soup. Reheat the soup in a pot over high heat and add a bit more water if desired.